Congratulations to the team for another wonderful display. 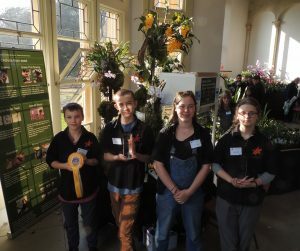 We are spending the weekend at The Bournemouth Orchid Society Show at Highcliff Castle and we are celebrating winning Best Professional Display for our unique combination of a working propagation laboratory and wonderful orchid species from our greenhouses. 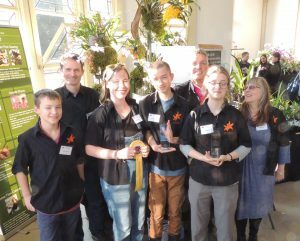 We also won Best Trade Plant for our specimen Coelogyne cristata. We have had a fantastic and busy day and the organising committee here have done a wonderful job in putting together and publicising the event.